Zaid Hamid’s press conference in Lahore. It’s a must see press conference. The Zaid Hamid who used to be surrounded by personalities like Maria B, Khaqan, Ali Azmat was found to be sitting all alone. The four chairs on his left and right were to be filled in by Ulema e Karam. In the entire video Zaid Hamid is boasting about his credentials as a Mujahid in Afghanistan and as a security analyst. If you are looking to hear his views on Yusuf Kazab, you would be disappointed. 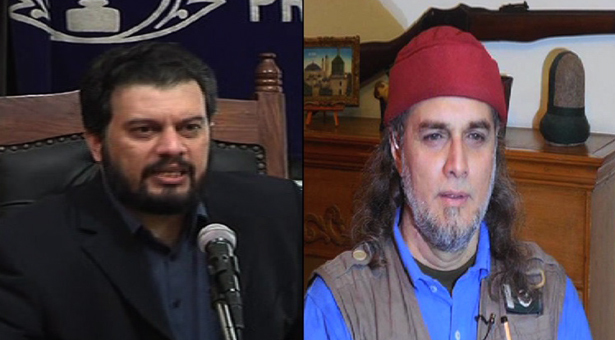 Zaid Hamid states that Mufti Naeem has issued statements in his favor. That’s very bad, as his team might have forgot to show him the latest video of Mufti Naeem. In a video released today Mufti Naeem declares that if Zaid Hamid thinks that I am favoring Zaid Hamid then he is wrong, as I consider him to be an even bigger Kazab then Yusuf Kazab. 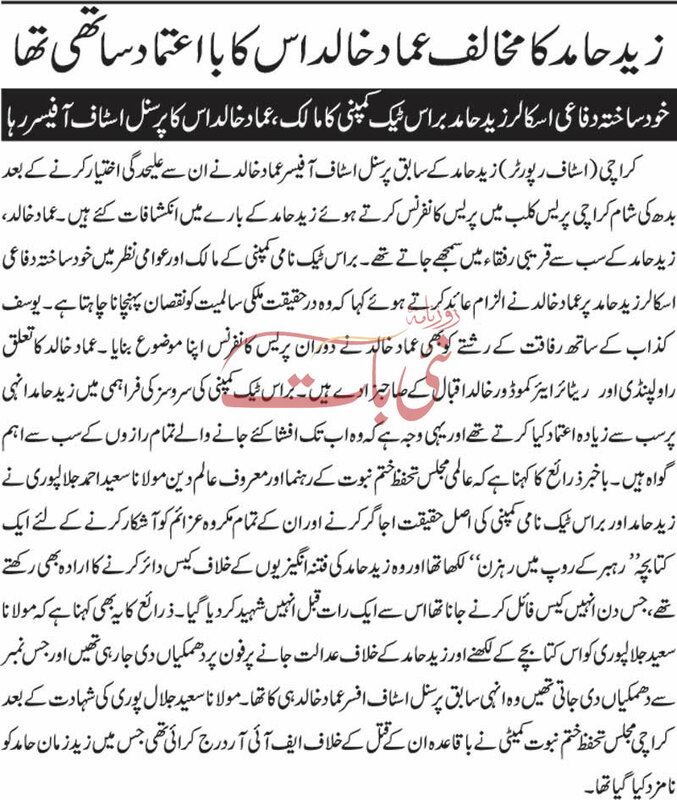 Mufti Naeem’s video statement is here and his written clarification is here. For more clarification regarding the personality of Zaid Hamid, you can view yet another Fatwa from Dar Ul Uloom Binoria. In this Fatwa the Ulema of Dar ul Uloom have called Zaid Hamid to be “Rehbar Ke Roop Mein Rehzan”. It would be a little better for your credibility if you dont use the name of Ulema in your propaganda messages, who have openly condemned and criticized you by calling Yusuf a Kazab and you to be a Shaitan, Chella of a Shaitan and an even bigger Kazab.